luxamundi: Budget Month Series, or Do You Really Get What You Pay For? Budget Month Series, or Do You Really Get What You Pay For? Budget Month. That's right, I decided some time ago to purely focus on the Budget Beauty Spectrum for a whole month, and September seemed like a good month to do it. I never thought of myself as a product snob, because I do love certain drugstore products-you only have to look at my Essie-dominated nail collection to see this-but when I thought about it really hard, I'd never really tried very hard with drugstore foundations, concealers or eyeshadow products. I've been very selective with what I buy from the drugstore, so it felt like a perfect time to correct that. 1) people are going back to university and school, and if you were like me at uni, you blew your loan which you receive at the beginning of the month on things and then ended up being cash strapped for the rest of the term. As I have a steady job, I thought this would be nice to try and remind any students who are trying to be conservative with their money that it is perfectly doable to maintain a beauty and makeup routine that is made up mostly of drugstore and budget beauty. I hadn't come across the world of beauty blogging at the time, so didn't have the benefit of advice from people, and know that I certainly could have done with it. 2) on a more selfish note, I've got to fork out the better part of my wage this month to pay for new windows to be installed in my flat. The joys of owning a home! So yes, money saving, at least for September, is the aim of the month. I hope you'll find this series helpful. I'm sure we all get wrapped up in the launches and posts out there about higher end beauty. I certainly get distracted and tempted by the gorgeous blushes of Hourglass, the sweet-shop appeal of MAC and the elegant allure of Chanel (see what I did there? Allure? Chanel? Never mind, I'm just getting overexcited), and only occasionally see posts about drugstore beauty here and there. By writing this series, and by only focusing on lower price point beauty products, I hope to open my eyes more to all the drugstore beauty out there, and maybe save me some pennies on the way! 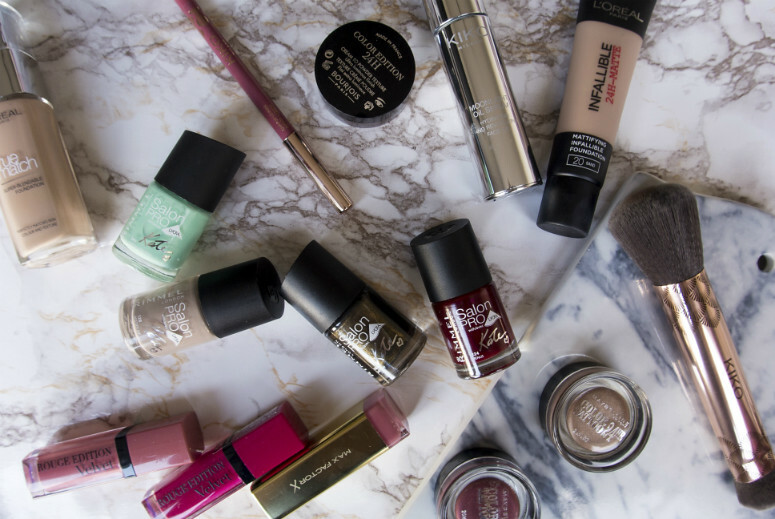 Do you have any drugstore beauty holy grail products you think I should try? Let me know in the comments! Oh and Barry M Nail polishes.